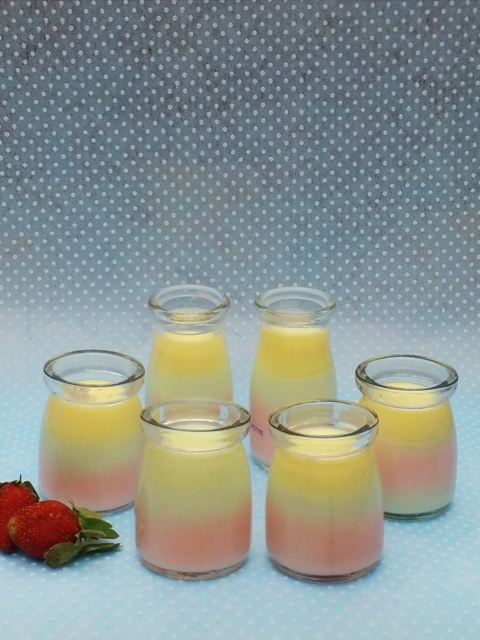 Recipe from azlitamasammanis blog, i only make half recipe about 4 bottle 100ml pudding cup and 2 bottle 200ml pudding cup. 2. Divide the batter into 3 portion (mine is green, pink and yellow), you may only make one flavor / two flavor. 3. 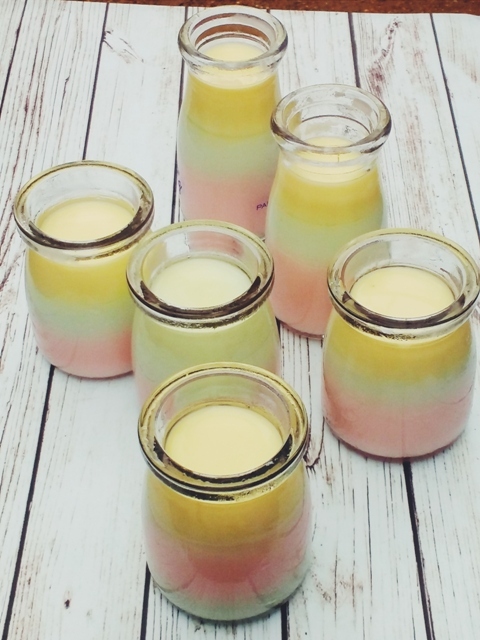 Pour the 1st color into the pudding cup and let it chill in freezer for 30 minutes, then pour in the second flavor and let it chill in freezer for 30 minutes. 4. Lastly pour in the last color pudding and let it set and chill in fridge not freezer. It is easy right? 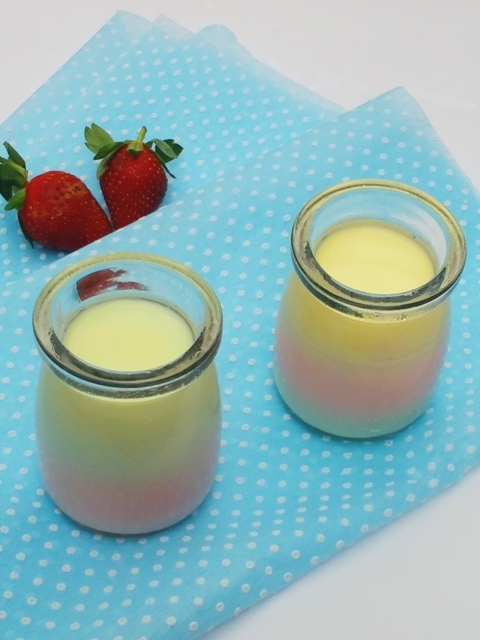 Drink this Pudding sedut or slurping pudding by straw.. Really suitable for who like creamy stuff. Creamy yet fragrance! Not suitable for me, I only can take half bottle one time..